England secured an impressive win on the first weekend of the Six Nations, beating Ireland by 32 points to 20. Eddie Jones’ men had come into the fixture as underdogs against a strong Ireland side, victorious against world champions New Zealand in November and in search of a second consecutive Six Nations title. It was England, however, that was quickest out of the blocks, with winger Jonny May scoring after a minute and thirty seconds. The try came about through a combination of strong ball-carrying, decisive passing, and a harrying rapidity down the flanks. This was also present in England’s second try, which came soon after Ireland went ahead in the 25th minute. Passing the ball with purpose from a ruck, Elliot Daly’s well-executed grubber kick spelled trouble for Ireland’s Jacob Stockdale who failed to bring the bouncing ball under control within his own in-goal area. He was pounced on by Jack Nowell, and the ball fell to Daly who scored to give England a half-time lead. Ireland reasserted themselves and started to display dominance at the start of the second half. England’s lead was reduced to just four points through an Irish penalty. With the game in the balance, there was a strong sense that whichever team scored next would take the momentum and go on to win the match. On the 65th minute this pivotal moment came. England once again attacked with blistering pace after a scrum. May’s kick over the Irish defensive line was met by Henry Slade, who charged onto the ball and scored. Owen Farrell then converted a long-range penalty soon afterwards, giving England a twelve-point cushion with ten minutes remaining. Matters were made worse for Ireland when in the 75th minute Johnny Sexton’s wayward pass was intercepted by Slade who scored his second try, putting the match beyond any reasonable doubt and securing a four-try bonus point for his country. Ireland’s John Cooney scored in the 79th minute, but it was too little too late. On the day, England were deserved winners. Not only was this an important result, it was also an impressive performance that displayed great character and discipline. In their next Six Nations fixture, England will face France, who will no doubt be looking to bounce back after a disappointing defeat to Wales in their opening game. Les Bleus squandered a sixteen-point half-time lead, going on to lose 24-19. 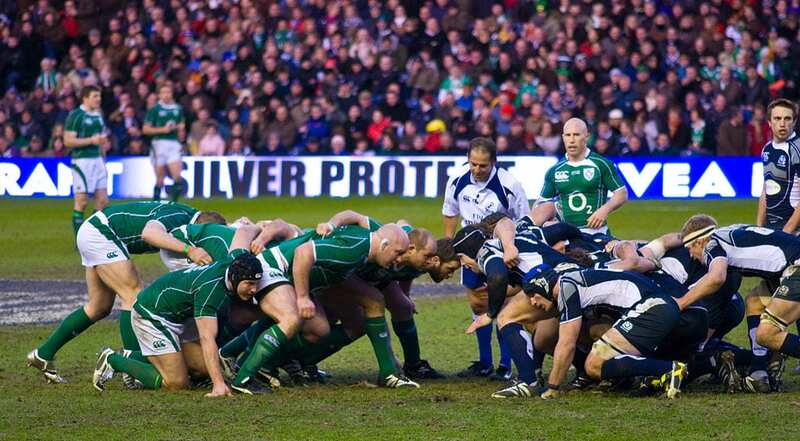 Ireland will travel to Scotland, who for seventy minutes ran riot against Italy, building up a thirty-point lead. Fatigue clearly set in however, as Italy scored three tries in the final ten minutes. The match ended 33-20. In the Women’s Six Nations, England kicked off their campaign in style, cruising to a 51-7 win against Ireland. France also won convincingly in their opener, beating Wales 52-3. England and France are joined at the top of the table with Italy, who beat Scotland by 28 points to 7. The Six Nations is a competition steeped in history. Its high-stake matches and passionate national rivalries make it one of the most exciting sporting competitions. Even if you are not an avid rugby fan, it is certainly worth watching.